Adult gentoo penguin returning to land from the sea, stands wings spread to cool it wings. You can tell if a penguin is hot from swimming because its wings will be pink in color. 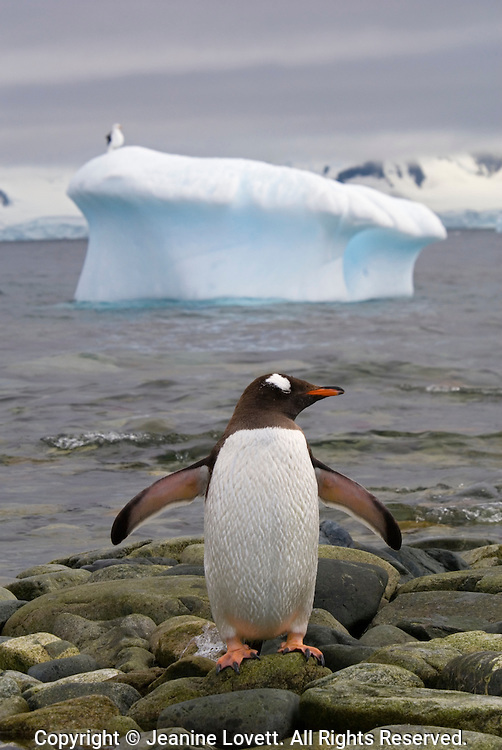 A seagull stands on a iceberg in the background.